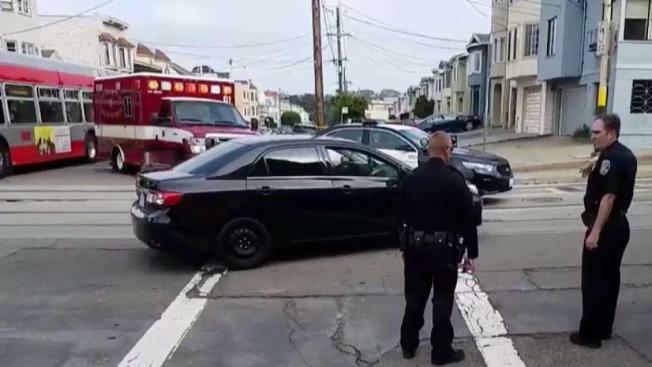 A San Francisco police patrol vehicle struck and injured a pedestrian Sunday morning, according to a police spokesperson. The incident occurred at 23rd Avenue and Judah Street in the city's Outer Sunset neighborhood. The female victim was taken to a hospital with injuries not considered life-threatening, police said.